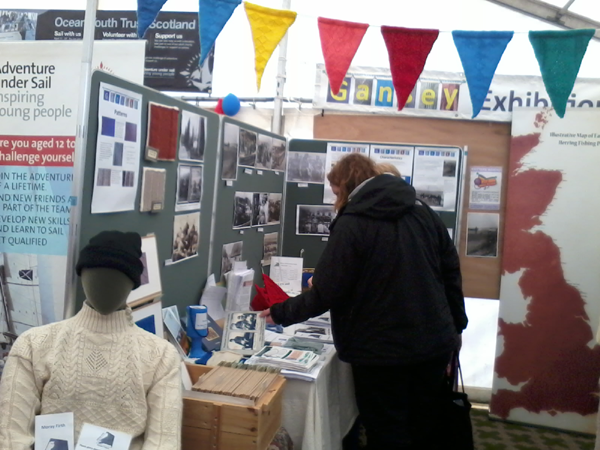 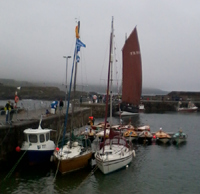 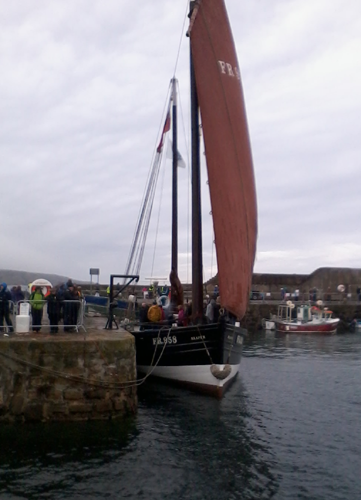 The two days of the Boat festival turned out cold and wet this year, but the crowds were undaunted and our stand was busy both days, with people eager to share their stories and memories, or to learn more about ganseys and gansey knitting. 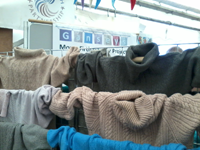 Thank you all, and please get in touch if you find our anything more which will add to the body of knowledge about ganseys, their knitters and the life of the fishing communities around the Moray Firth. 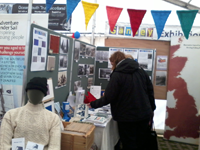 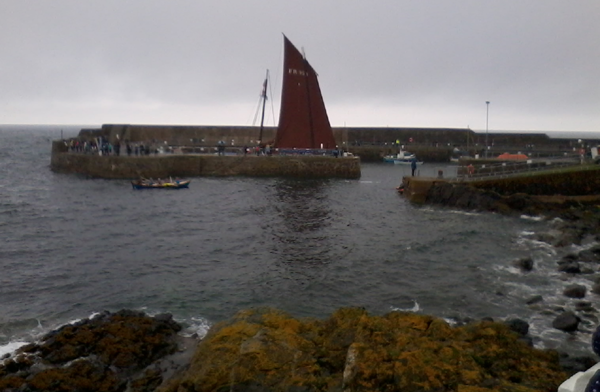 Some images of our stand, the Reaper, and the cold grey sea.